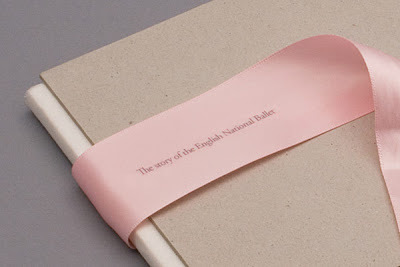 "Book for the ISTD Student Awards based on the English National Ballelet. The design focuses on the combination of strength and elegance represented in the art. 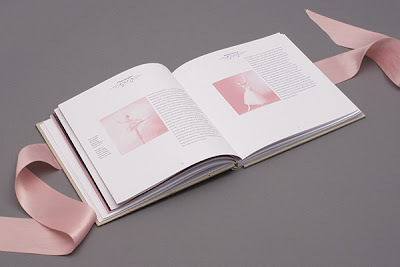 Elements such as the ballet shoe – with its heavy cardboard tip wrapped in delicate satin – are represented in the materials used for the cover. The characteristics of graceful yet strong are echoed throughout the book." This is just incredibly gorgeous. I love the color scheme and how delicate it looks. 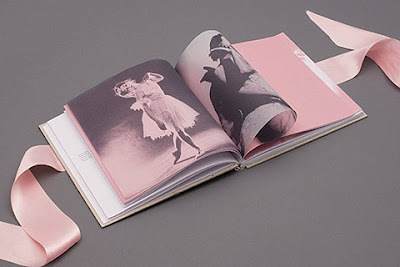 Ballet in a book. wow that book is so pretty. I love the colour combination and the pink ribbon. also the pink photography inside, such well thought out design! 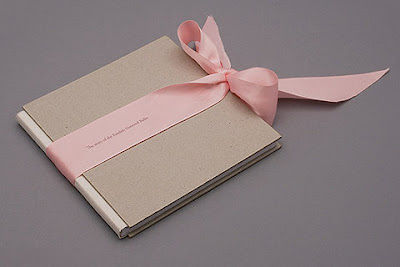 that is one of the most beautiful books i have ever seen..wow! !